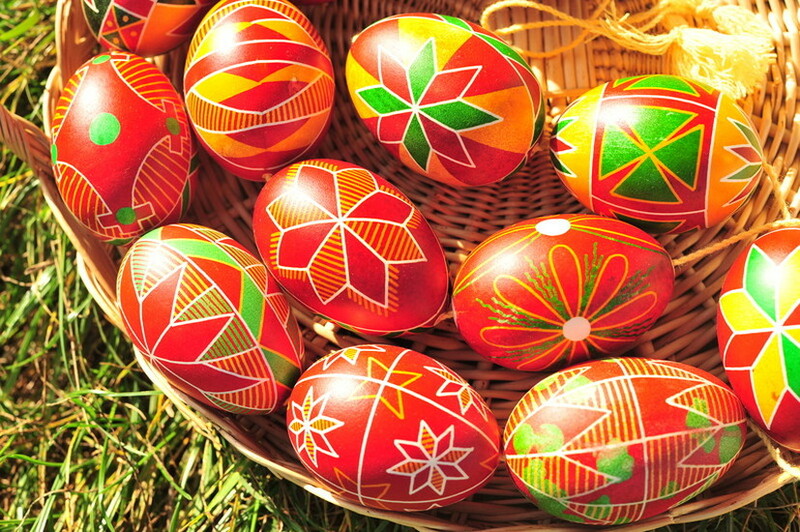 Ukrainian kids have not yet adopted the western tradition of hunting for Easter eggs on Easter Sunday yet, but that is not to say the egg has no role to play in a Ukrainian Easter; far from it in fact. 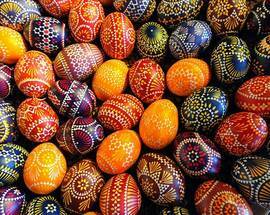 Every visitor to Ukraine should look out for traditional Ukrainian Easter eggs, which make fantastic presents and souvenirs. 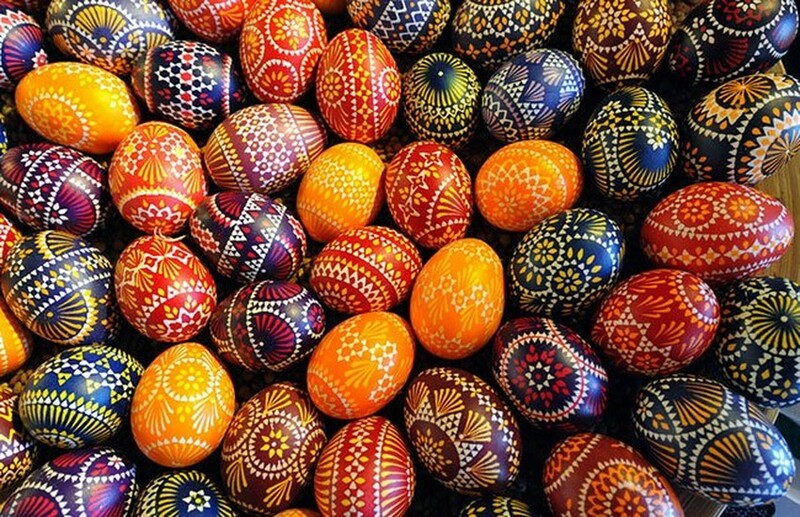 You can buy them on Andriyivs’ky Uzviz and in a number of souvenir stores which offer a wide variety of them, from cheap wooden eggs to real, hand painted dried hen eggs. 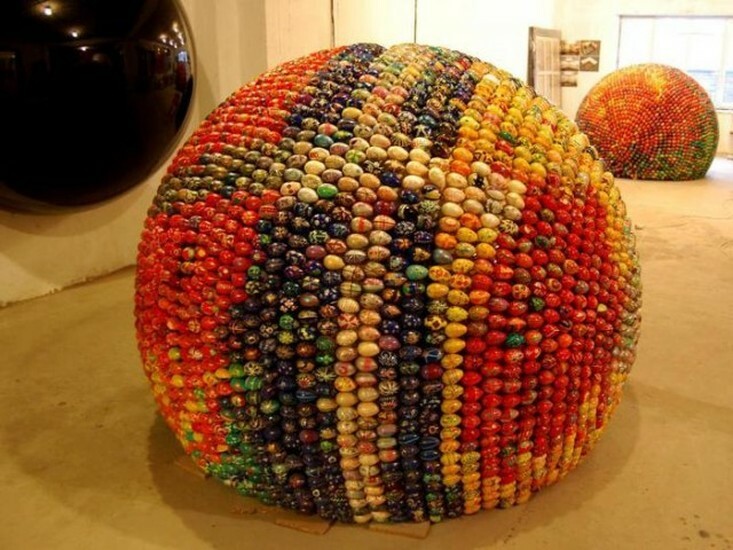 You can also buy very expensive and elaborately decorated wooden or ceramic eggs that are in themselves real pieces of art. 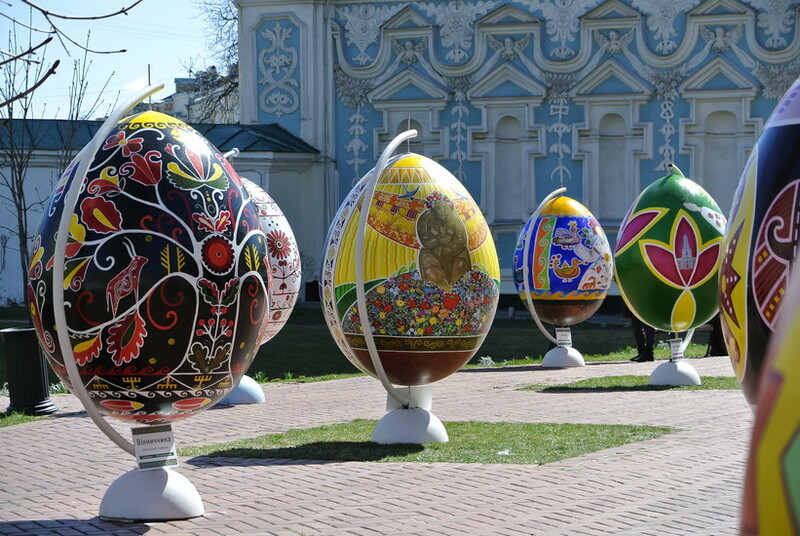 The most impressive Easter eggs – and those most familiar to westerners - are the jewel and gold covered Faberge eggs, created by the Russian Tsar’s court jeweller Karl Faberge at the end of the 19th century. 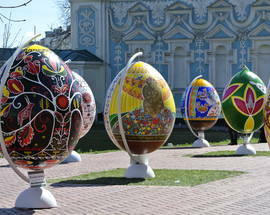 The patterns and colours on contemporary eggs are deeply rooted in history. 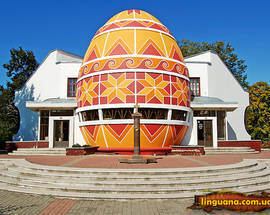 Many are borrowed from Tripillian culture, which existed on the territory of Ukraine about 6000 years ago. 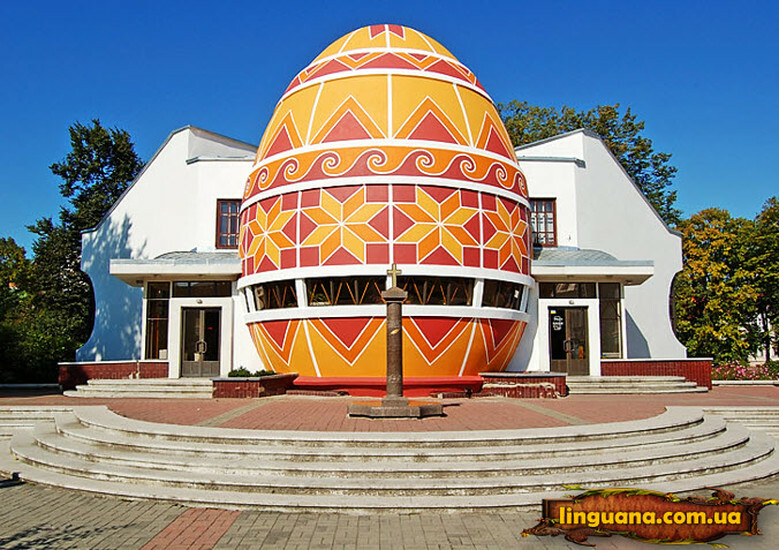 In Pagan culture the egg symbolised life, though the meaning changed slightly in 988 when Kyiv adopted Christianity. 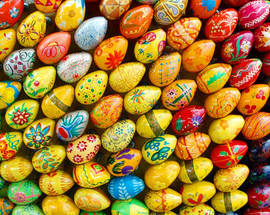 In Christianity, the egg represented eternal life and the Resurrection of Christ. 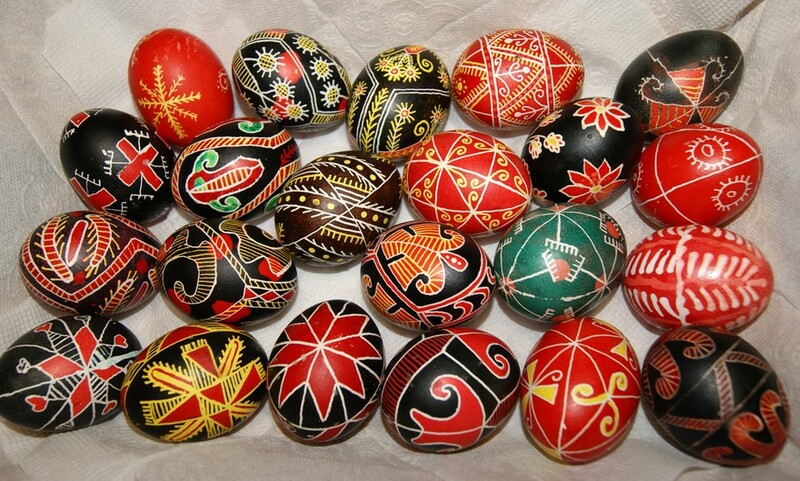 krashanky (dyed in solid colour), and pysanky (decorated with different patterns and colours). 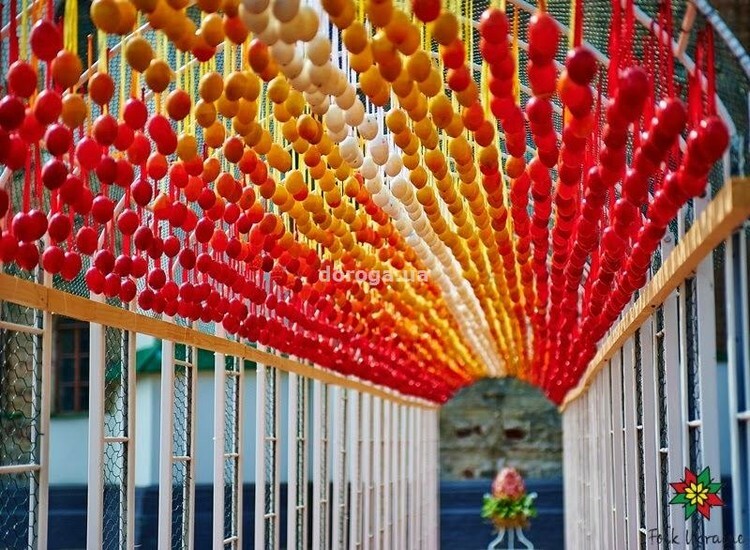 The traditional dyes have always been home made, and by and large the tradition continues. 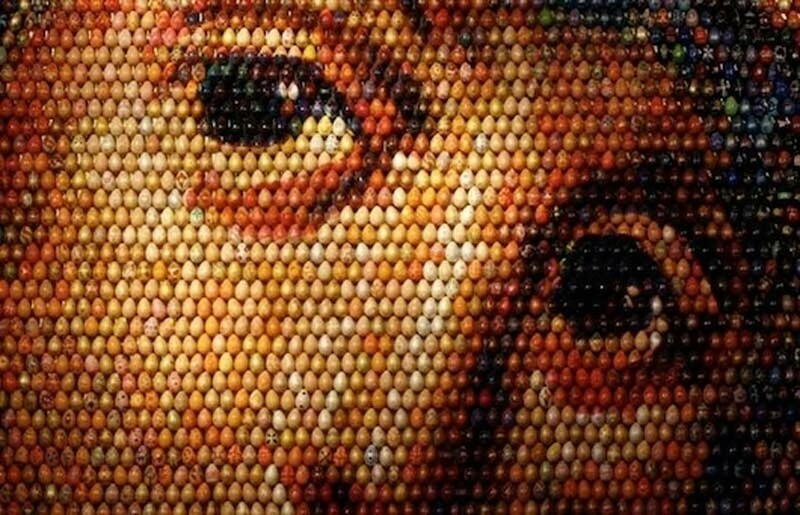 The most popular dye is an onion peel boiled in water. 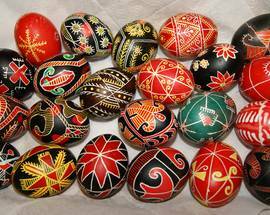 The intricate process of painting a pysanky egg involves multiple steps and drawing various patterns, often more than once, on the eggshell with wax. 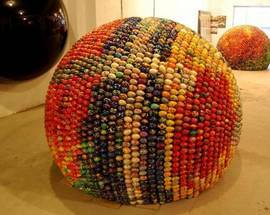 The egg is then immersed into progressively darker dyes, and the wax is melted off with a candle between each stage of colouring. 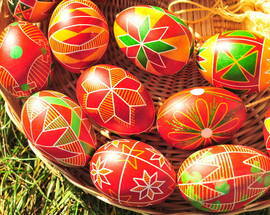 Some of the artists who sell painted eggs will be happy to give lessons in this traditional technique. 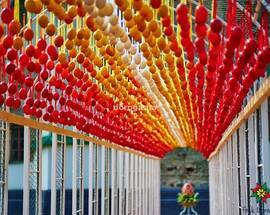 Every colour and pattern has its own meaning. 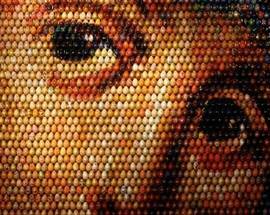 For example, red symbolises love, black - eternity, and blue - trust. The triangle stands for the Trinity, a circle - eternity and the sun, and the hen - fertility.